CRO (Conversion Rate Optimisation) Seamless User Interactions. Perfect your website with CRO better known as conversion rate optimisation. Open up new opportunities by converting more of your website traffic. Significantly improve the user interaction of your website and improve your visitors journey to lead to an outcome that you desire. We use cutting edge technologies to refine the users journey on your website. Conversion Testing for Growth Experiment, Refine, Improve Conversions. So your website is now generating loads of traffic but your not seeing an uplift in conversions? Most likely you are missing out on vital elements that ensure your visitors journey reaches the goal you desire. 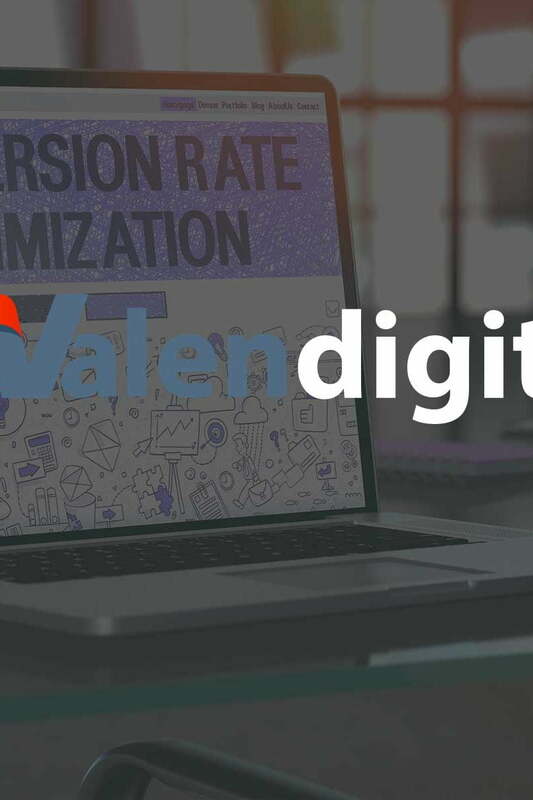 At Valen Digital we implement CRO techniques that ensure the traffic your site is receiving gets the highest possible conversions. Whether you need to increase registration, improve downloads or decrease abandoned baskets the experts at Valen digital can help. We will conduct comprehensive research into your site to identify problem areas. We’ll then use the latest technologies to test multiple elements of your website to ensure the best possible conversions are achieved from your website traffic. Considered one of the best CRO testing tools on the market. It allows you to conduct A/B and multivariate split testing over multiple elements on your website at once. The newest offering from Google. Tightly integrated with Google Analytics we can test any change or variation on your website. CrazyEgg can show you quickly what’s hot and what’s not on your website. Its heat mapping services can show you what areas are actively being used by your site visitors. We use A/B testing (split testing) to optimise landing pages and website designs. Elements on a web page can be tested to see which perform better for conversions. A/B split testing provides valuable data into user behaviour on your website that can be used to determine which elements perform the best. A good example can be the colour of a button. Green and orange colours work well to incite a positive action. At Valen Digital we will conduct multiple tests to discover the best winning variation that works for your website. This will help increase conversion rates on your site. A similar principal to your standard A/B split testing. Multivariate testing is on a much larger scale and allows you test multiple elements on any given page at the same time. You can also throw in multiple variations of the same page into the mix, however we sometimes feel that’s overkill and can lead to skewed results. We carefully select pages and elements that allow for the best performance and results from a multivariate test. Our goal is to determine the best combination to ensure a super optimised page allowing for excellent conversions. Landing pages are often the key to converting a customer. The first or perhaps the last impression that your landing pages gives a potential customer can mean converting them into a sale or losing them. The landing page needs to accurately reflect the needs of the visitor viewing that page. Often most traffic is directed to the home or category pages which doesn’t reflect what the visitor was looking for. We optimise your landing pages so they are relevant to the users searches and provides the information that hey are looking for. Our optimised landing pages provide a conducive hassle free experience which is visually appealing yet includes targeted, persuasive content for them to take an action you require.